Historic home to the Comune (council) of Florence. 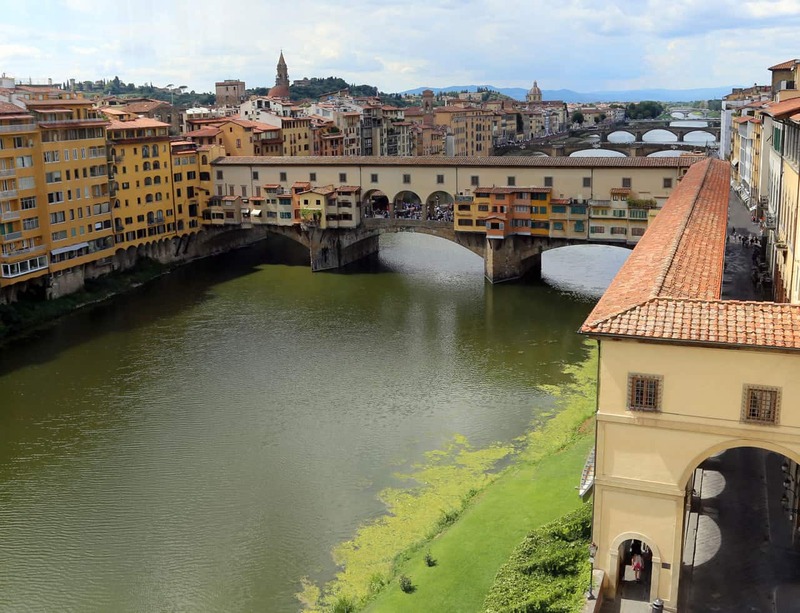 Located near the famous Uffizi gallery, the Palazzo Vecchio, which means Old Palace in English, is an impressive 14th century structure that was built as Florence’s town hall, still fulfilling this purpose today. 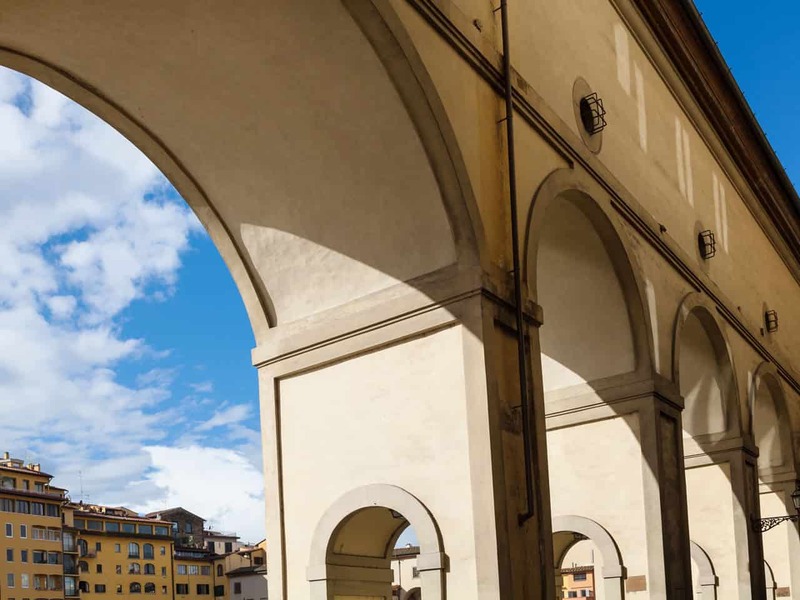 Also featuring an impressive bell tower, as with many other Florentine buildings of the time, the palace sports a remodelled interior that was completed by Vasari. 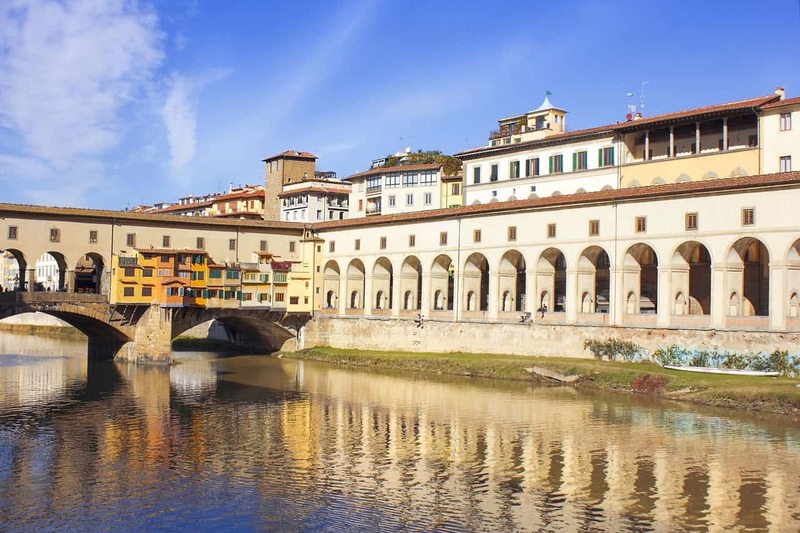 Visitors to Florence will want to make sure that they head over to the old city to explore this city hall, which is adorned with fine art including a replica of David by Michelangelo. 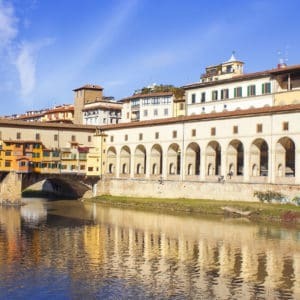 Art lovers will really be in their element here as they explore some of the most stunning works of art and murals from the Renaissance period. 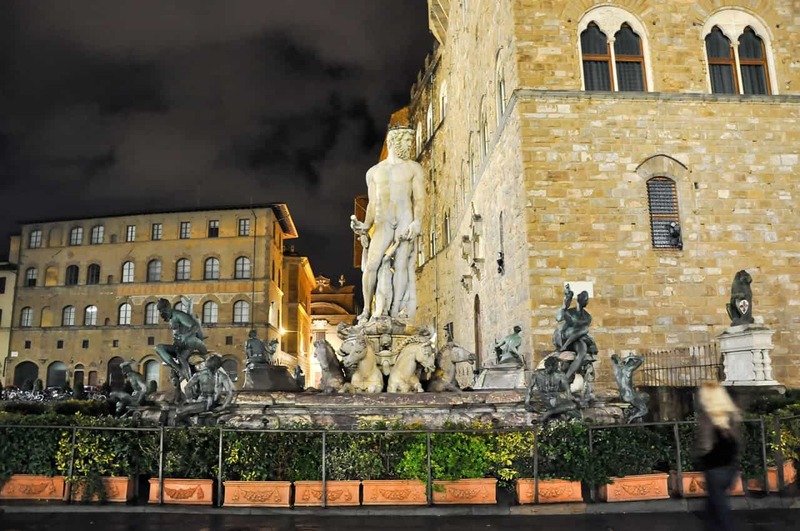 As visitors approach the Palazzo Vecchio they will be greeted by the site of several impressive statues, including a replica of Michelangelo's David and the group of statues known as Hercules and Cacus that were created by Bandinelli. 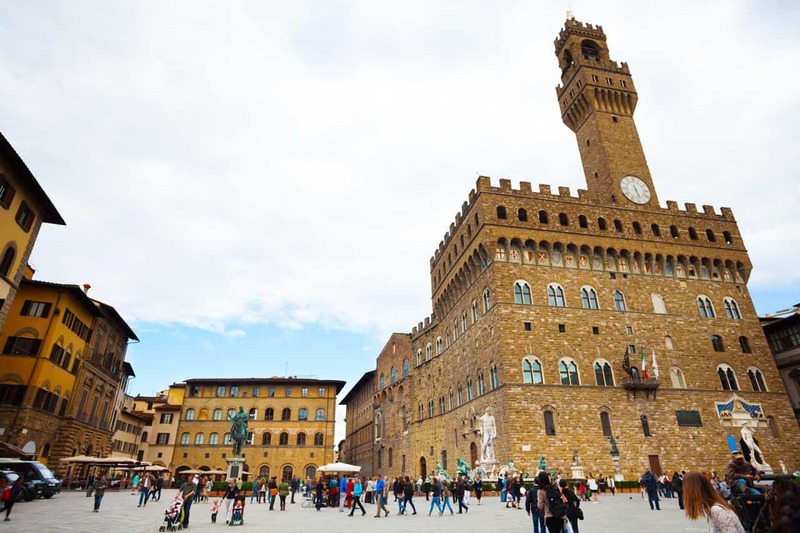 The Palazzo Vecchio was originally utilised by the Grand Duca family and a number of artefacts from the extensive collection of the Medici family can still be found in the entrance hall of the palace. After taking the time to explore the first floor, visitors can take a stroll through the large courtyard, which opens onto the ancient Armoury that is often used today to organise exhibitions held by the Town Council. Also of note is the Salone dei Cinquecento painting that was created by Cronaca in 1495 and statues by Caccini and Bandinelli.